Upgrades & Updates for August. Greetings. 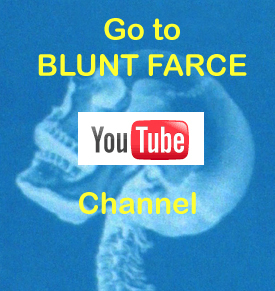 It has been a busy Summer here at Blunt Farce. We had to upgrade some animation software which meant both $$ and the usual time-consuming hassles, but we’ve got it all straightened out now and are hard at work on Episode 3 of ‘Bud Fallbrook.’ We’ve got the script locked and some of the new backgrounds and characters (!!) built. We’ve also downloaded some fun/weird new ‘freeware’ synths over on the ‘Evil Twine’ side of things… so that has taken up some time as well. Some of our other projects, like the previously mentioned Golf comedy/documentary are stalled for all the usual pain-in-the-neck reasons, but we continue to push forward on all fronts while trying to enjoy these last days of Summer. As always, there is plenty more to come. oh, and Bud Fallbrook now has his own website, which we take no responsibility for. ← Bud Fallbrook strikes a nerve.